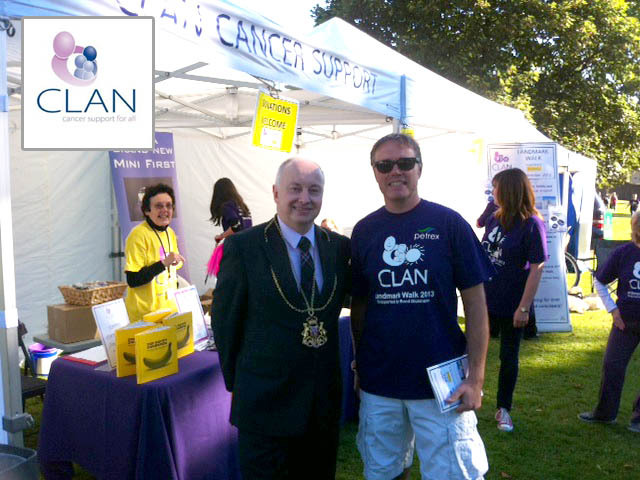 We are signing up again for the Clan Landmark Walk to be held on the 21st of September 2014. The thirteen mile route takes in a variety of well-known landmarks in and around Aberdeen City. Looking forward to a great day supporting an extremely worthwhile cause and hopefully the weather will be as glorious as it was last year. Picture taken in the Westburn Park at the start of the 2013 Clan Landmark Walk.